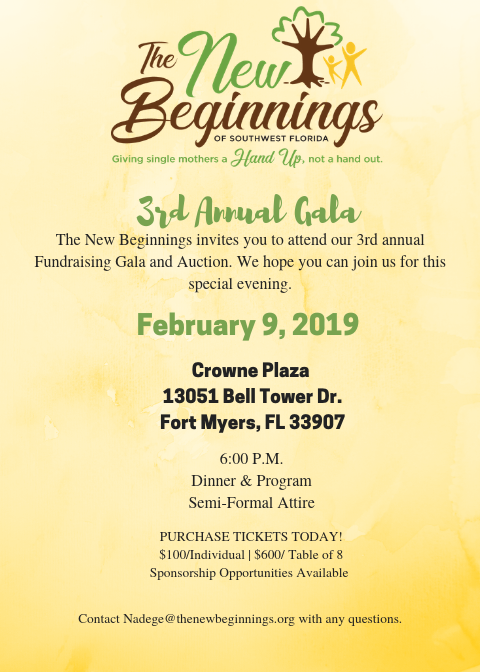 The New Beginnings of Southwest Florida will be holding their third annual Benefit Gala and Auction on February 9th, 2019. The event will be held from 6 – 8 pm at the Crowne Plaza at Bell Tower shops. This event is held to raise money for the non-profit to help them continue their mission to help single mothers and their children in the Lee county area. According to the 2017 Alice Report Update, over 20,000 Lee County households are run by single parents. 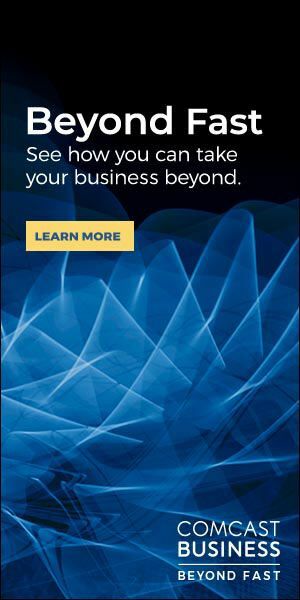 Out of those households, 14,000 of them are run by single mothers. About 49 percent of those single mothers are at or below the poverty level. The New Beginnings takes the financial burden off of these mothers and helps them by providing housing, food, and mentorship. The New Beginnings main goal is to help these women achieve their educational goals while giving them life skills that they will be able to use in the future. Last year’s Gala did well. The non-profit received over $100,000 from donations and bids on auction items. In 2019, they hope to surpass that goal in order to provide more help to more mothers. This event is the organization’s primary source of fundraising since it is the only fundraising event thrown annually. 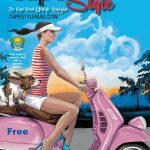 About The New Beginnings Inc.